When someone is convicted of a misdemeanor or felony, the court typically places the defendant on a period of probation and imposes sentencing obligations. Granting probation allows the court to retain jurisdiction to enforce the sentencing terms. However, the court holds the power within its discretion to terminate probation under California Penal Code 1203.3. A criminal defendant may petition the trial court to terminate probation early provided they completed all their sentencing obligations. This includes paying all fines/fees, restitution, community services, and counseling. Although there’s no statutory requirement, courts normally require a defendant to complete at least half of their probation period prior to filing a motion to terminate probation. In addition to the above requirements, the court will consider whether the defendant suffered any probation violations. If the court were to elect in terminating probation, the court must be ensured the defendant has been fully rehabilitated. A probation violation is a clear sign to the court that a defendant may not be fully rehabilitated and serves as a reason to deny the early termination request. To terminate probation, it requires filing a motion in the sentencing court outlining the specific reasons why you should be granted relief. Most judges will balance the need for terminating probation versus the need to ensure a defendant is fully rehabilitated. Moreover, it’s important to have a compelling reason when seeking to terminate probation. For example, a compelling reason may be child adoption, employment, or immigration. The prosecutor must be timely served with the motion and be give an ample opportunity to contest the petition. Typical oppositions from the prosecutor include whether the defendant has a prior criminal history, the severity of the instant case, or multiple probation violations. 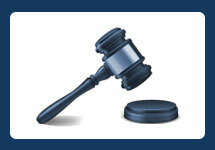 If the judge elects to grant your motion, probation will terminate forthwith. Although anyone is capable of submitting a motion to terminate probation on their own, it’s not recommended. 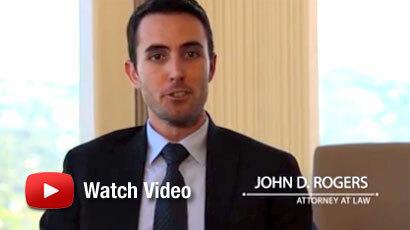 If you’re seeking to terminate probation early, contact a Criminal Defense Attorney at the Law Offices of John D. Rogers for a free consultation. You may also be interested in seeking a certificate of rehabilitation, expungement, or reducing a felony to a misdemeanor.